Hello Ladies. So this review has taken quite some time but I felt that I needed to do justice with the product and try it out over a period of time before giving my final take on it. I use this regularly ie it is my present conditioner and use it after every shampoo. I have used this for more than 2 months easily and lets just say that I’m not impressed. But first I think you need a little profile about my hair to understand me better. I have mid back length hair which is fine in nature and is straight for 3/4 of the length and remaining is permed. My hair is mostly dry especially the permed part. The first thing that I do is shampoo my hair and then apply the conditioner to my entire hair baring my roots/scalp. I then tie my hair up and finish with the rest of my bath. In the end I wash out my hair. The conditioner gets anywhere from 5 to 10 mins to work in my hair. Since it is winters I need to use the hair dryer to dry my scalp mainly or else I will end up with a cold. Ok the best way I can describe how my hair feels after is “normal” ie neither too dry and neither soft/conditioned. If I touch it from the top as in run my hand along the hair shaft it feels ok but when I run my fingers through my hair it feels dry to me. And I’m talking about the straight portion of my hair. Lets not even go to the permed portion. It has done nothing for the shine translation I don’t have any and its use over time has not improved the condition of my hair. I end up reaching for my hair serum in the end to bring it to the level of softness I prefer. I require this much quantity to cover my entire hair. The product is supposed to be for fine to normal hair types. It has a light texture and a pleasant smell. Price is Rs 699/- for 150 gms of product (you can get it for Rs. 664.05 at 365gorgeous.in). Ok let me just say something. By no means am I saying bad things about this product and writing it off. I just want to point out that it didn’t work for me and my hair type. For people who don’t have the problem of dry hair I think this product can work decently enough. So in the end understand your hair type and then decide if you want to give it a go. Until next time – Cheers! 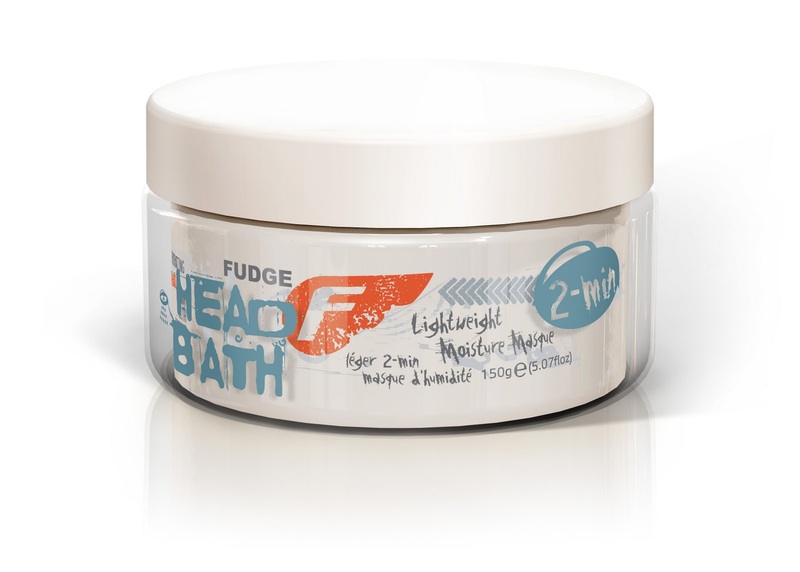 “Instantly hydrate and condition your hair with the Fudge Head Bath. A Lightweight 2 minute Moisture Masque that improves shine and overall condition for fine to normal hair. You’ll be left with soft, silky hair that boasts improved health and vitality. I used it for a good 3 months now and still have some uses left. Did not improve texture over time. Will you purchase it again? – No! Will you recommend it to your friend? – The brand maybe. This product – Nope. How Bourjois 1 Second nail paint in Rainbow Apparition will add glamour to your life!